Kochi: This Christmas, the Kochi-based CGH Earth Experience Hotels has yet again embarked on a fun activity with a cause by ushering in this festive season with decorations made of used products. One of CGH Earth’s core values is being sensitive to the environment and such simple and innovative measures go a long way to make that change to better our planet. Through this initiative, they have turned disposable materials from their hotels like old newspapers, magazines and old bottles to beautifully crafted décor elements. An idea sparked off by Mr. Jose Dominic, MD & CEO of CGH Earth has seen its 3rd year, of Christmas with a difference across the group in Kerala, Tamil Nadu, Pondicherry and Karnataka. Take for example, Casino Hotel in Willingdon Island, Kochi that has been spearheading this effort within the group. They have been working with, and training children of Raksha Special School in Mattanchery, to create these eco-friendly and up-cycled Christmas decorations. “Through this effort we are able to provide an additional income to the children at the school and at the same time engage them in learning a new craft. These innovatively up-cycled décor elements adorn Casino Hotel’s lobby and restaurants to bring in the festive spirit of Christmas,” says George Joseph, General Manager, Casino Hotel. Today it has become a common feature to see most of the homes embellished and decorated with plastic and non-biodegradable materials. “It is important that we realize that by doing so we are only adding to problems. Even if it is a small change it can surely make a huge difference. Getting family and friends together to create Christmas decorations can be a joyous and enjoyable activity at home this season”, says George. This year the lobby and restaurants at Casino Hotel have been transformed into a magical setting with spiral Christmas trees of varying sizes crafted from old magazines, stars from old cartons, baubles from old paper, Christmas wreaths with twisted newspaper and colored curls from old plastic bottles. A snowman, a reindeer and Santa, table décor from bottles are few of the special features this year. The Executive Housekeeper at Casino Hotel, Mr. Anish Joseph and his colleagues across CGH Earth Resorts have been taking up this mission every year and creating new design-marvels every single time. “We are very pleased with the outcome and delighted to see top quality products being made”, says Mr. George Joseph. It took Anish 16 hours to hand-craft the Christmas tree single-handedly. It is a wonder to see the spiral Christmas tree standing tall at 7 feet using no frame for support. Another stunning installation is the 60 glowing lamps from old magazine paper-strips which resembles a constellation when viewed from below. The advantage of this up-cycled craft is that it is inexpensive and bio-degradable. Moreover, this is also a cost-effective initiative. The group had spent a very minimal amount when compared to previous years and agrees that the cost saving has been tremendous. Kochi, for a while, has been swamped with waste management problems that still loom at large. CGH Earth Hotels’ venture, The ‘Green Christmas’ is a sure shot at reducing waste to such a large extent that it is not mere reduction they speak of, but creating beauty from something that would otherwise remain difficult to dispose of. Visitors and guests at the hotel are completely in awe and have so many questions regarding the initiative, that it has prompted the hotel management to initiate more participation from the general public including kids, by proposing craft workshops in the near future where training and more, can be imparted in crafting such décor. 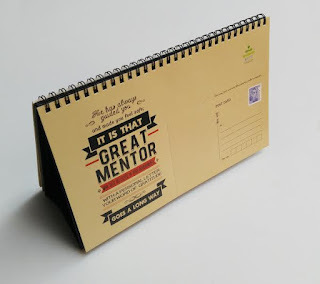 Kochi: MIR Group’s 2016 theme calendar which arouses nostalgia of letter writing with the theme, 'write, send, inspire', was launched here by noted writer Subhash Chandran. Six pages of the calendar have been attached with a stamped postcard each, which can be torn apart and used for writing letter. MIR Group, which is into housing projects, project management consultancy, hospitality, tourism, life science, infrastructure and energy solutions among others, has been bringing out calendars with unique themes for the past five years. As part of the 2016 theme, a letter-writing contest was conducted in three categories on the topic, 'Missing a hand-written letter in today’s world of instant messages and emails', in which thousands participated. The winners of the contest are Jonathan Jino Joseph of St. Patricks Academy, Angamaly at the school level, Shine Brijith of St. Theresas’ College, Ernakulam at the college level and Dr. John T. Abraham, Asst. Professor, Bharath Matha College, Kakkanad in the general category. The prizes for the winners were also distributed in the function. P. Susheelan, Sr. Superintendent, Postal Department; Fr. Prasant CMI, Principal, Sacred Heart’s College, Thevara and Dr. Sajimol Augustine, Principal, St. Theresas College, Thevara among others attended the calendar launch event. 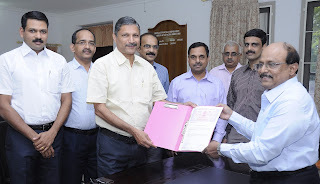 Thiruvananthapuram: Kerala Financial Corporation (KFC) and KITCO, the premier public sector consultancy organization has signed a Memorandum of Undertaking (MoU) for promoting innovation and entrepreneurship development in the State. The MoU was signed here by Shri. Joy Oommen, Chairman & Managing Director, KFC and Shri. Cyriac Davies, Managing Director, KITCO Ltd.
As per the MoU, KITCO will send commercially viable and technologically matured start-ups to KFC for availing financial assistance. KITCO will recommend start-ups incubated at KITCO and other networking TBIs of KITCO for funding by KFC after providing adequate training and mentoring to enhance the success rate. KFC will consider the proposals, recommended by KITCO and sanction eligible financial products as per the schemes operated by it. Loanees will be governed by the policies and procedures followed by KFC. KITCO and KFC will work jointly to ensure that the promoters of the start-ups are provided with hassle-free services. Representatives of the two organizations will meet on a quarterly basis to evaluate the operation of the MoU and the start-ups under the MoU. Dr.K.C Chandrasekharan Nair, Associate Principal Consultant, KITCO Ltd., Mr. Suresh Jacob, Senior Consultant, KITCO Ltd., Lt.Cdr.(Retd.) Sajithkumar E.V, Senior Consultant, KITCO Ltd. and Mr. Premnath Ravindranath, General Manager, KFC were present at the signing ceremony held at the KFC head office in Thiruvananthapuram. 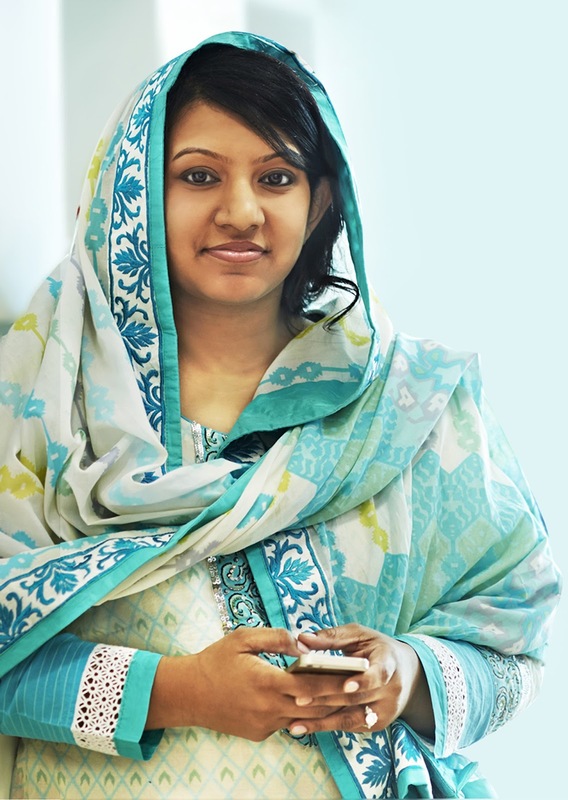 Ms. Shafeena Yusuff Ali, CEO, Tablez Food Company Pvt. Ltd., was honoured with the “Outstanding Women for their Excellence Services to the Society” award constituted by the Kerala State Social Welfare Board, among other women. The award is in recognition of the exemplary work being carried out by her in support of the local economy and society. Other winners at this year’s award include Dr. Indira Balachandran, Project Director - Kottakkal Arya Vaidya Sala; Ms. Beena Kannan, CEO, Seematti; Ms. Shani Prabhakaran, TV News Anchor; Ms. Mini K.A., Dr.Kumari Sukumaran, Dr. Mallika Shivadas, Ms. Mary Samuel, Ms. Vandana VR and Ms. Laxmi Bhaskar. “I am humbled and honoured to be awarded among such inspirational women whom I hold in such great awe. This recognition further inspires me to be the best that I can, to show than just say to give back more to the society that has given so much to me,” said Ms. Shafeena Yusuff Ali. Tablez Food Company Pvt. Ltd is the F&B arm of the retail major, Lulu International Group LLC, specializing in international and local cuisines as well as partnering with leading franchising concepts. “Tablez is dedicated to innovate and inspire new concepts and excite both us and our guests. We strive every day to bring exceptional quality of food and experiences that will raise the bar and create new avenues and opportunities,” said Ms. Shafeena Yusuff Ali. Kochi: Shortly after announcing the opening of its first property in Dubai, Twenty14 Holdings, the hospitality investment arm of LuLu Group International, announces the acquisition of its first property in India - the Abad Airport Hotel Kochi. The 54-room Abad Airport Hotel Kochi is conveniently located near the Cochin International Airport and is an ideal choice for travellers with stopover flights or for anyone who wants to be in close proximity to the airport. The acquisition marks Twenty14 Holdings' entry into the mid-scale hotel segment. Twenty14 Holdings is currently in talks with Marriott to rebrand the property as Kochi’s first Fairfield by Marriott hotel. Twenty14 Holdings currently has assets worth more than $450 million spread across UK, GCC and India. The company recently opened its first five-star hotel in UAE at Business Bay in Dubai, managed by Steigenberger Hotel Group, a leading German-based hospitality firm. The group has also made a £110 million agreement with property developer Galliard Homes to create a luxurious five-star hotel at 1-5 Great Scotland Yard, the former headquarters of London’s Metropolitan Police Services in London, UK. The custom-built 92,000 sq ft hotel, to be called the Great Scotland Yard Hotel, is set to open in early 2017. Twenty14 Holdings also co-owns the Sheraton Oman Hotel in Muscat, a 230 key five-star architectural marvel which is currently under renovation.